Want to try the best seafood in West Palm Beach? Drop in to LA COSINITA LATINA. Our restaurant was established in 2014 and throughout these two years, we've been serving authentic Puerto Rican cuisine. Our specialties include a delicious choice of seafood. We are open from Tuesday to Sunday, as from 8.00 am to 8.00 am. Being a lush and tropical island right in the middle of the Caribbean, Puerto Rico has a lot to offer when it comes to seafood delicacies. Known as Mariscos among the Puerto Ricans, seafood is extremely common in many restaurants of the island. At LA COSINITA LATINA, we are proud to offer traditional Puerto Rican dishes that are prepared with fresh local ingredients. With many years of experience, our cooks are able to choose the freshest and the highest quality fish available. If you are looking for a restaurant where you can enjoy yummy seafood dishes in a pleasant atmosphere, LA COSINITA LATINA is the ideal place! Here, we care for your satisfaction. We assure you a warm welcome and an impeccable service. 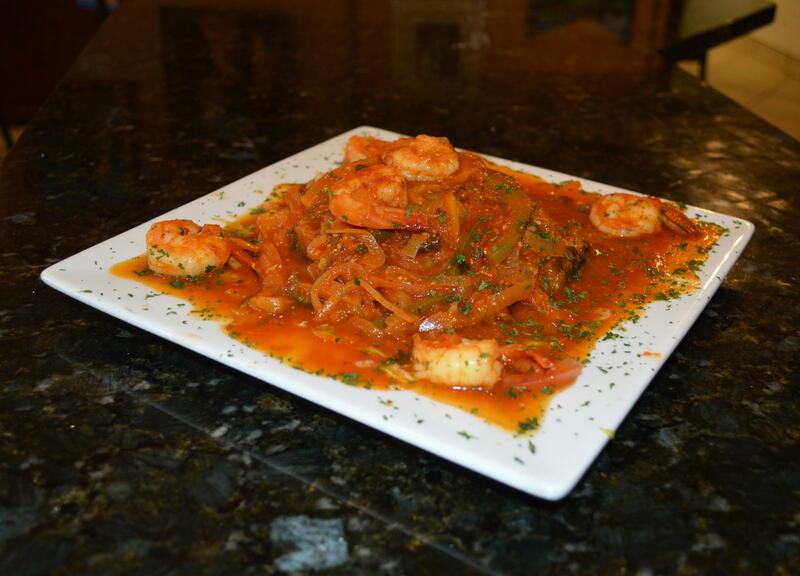 Our chef brings his knowledge and experience in Puerto Rican's cuisine right to your table. Please allow us to enhance your visit. We are here to assist you. An array of seafood prepared with fresh quality ingredients.